57st. 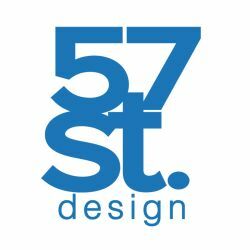 design is a contemporary furniture brand based out of Chicago. We design, manufacture, and retail all of our work in-house, and all from our workshop on the Southside. We believe in functional, straightforward design. We use solid hardwoods and hand-rubbed finishes, not just because they look good, but because they allow us to make furniture that can be easily repaired—that is, furniture that’s more likely to last. Our work draws from various design traditions, from American Shaker furniture to Scandinavian modernism to traditional Japanese woodworking. In early 2018, we launched Design Circulation, a service to take back, restore, and recirculate our furniture. Design Circulation intends to create a system in which furniture is never discarded nor destroyed, but rather circulated from home to home in perpetuity.